Utility Week Live 2017 has identified the 10 most important transformation leaders and technologies, as voted for by the industry themselves. The ten individuals set out have embraced innovation and driving change in their respective companies, across the sector, and more widely. They are the leaders in the transformation the utilities are undergoing towards becoming more flexible, sustainable and suitable for the new world we’re all heading towards. These people are: Basil Scarsella, chief executive, UK Power Networks; Ben Jeffs, director and chief executive, MOSL; Cathryn Ross, chief executive, Ofwat; Cheryl Latham, chief executive, Brighter World Energy; Dermot Nolan, chief executive, Ofgem; Piers Clark, founder and chairman, Isle Utilities; Elon Musk, founder and products architect, Tesla and chairman, SolarCity; John Reynolds, chief executive, Castle Water; Simon Harrison, group strategic development manager, Mott MacDonald, and chair of the energy policy panel, IET; and Tony Cocker, chief executive, Eon UK. Over the coming months, Utility Week/WWT/WET News/Network will speak to the top ten people, speak to people in the industry about the influence and impact they have had, publish biographies detailing their careers and key decisions, or hearing from them direct with columns. The ten technologies outlined opposite/below are fundamentally changing the shape and look of the utilities sector – in particular the energy side things. These include technologies and innovations that are already a key part of utilities’ daily operations, and those whose influence and impact is only going to grow in the coming years. The top ten technologies are: cloud computing; demand response and demand side management; electric vehicles; energy storage, including battery technology; geographical information systems (GIS); the Internet of Things (IoT); machine learning; smart metering; solar; and wind. Over the coming months, Utility Week/WWT/WET News/Network will speak to experts in the technologies, look at examples of how they have been rolled out and assess the impact they’ve had, look at the numbers behind the innovations, and getting investor views on the development of the technologies and how close they are to transforming the business as usual operation in the sector. Cloud computing is a general term for the delivery of hosted services over the internet. It enables companies to use computer resources, such as data storage or an application, as a utility, rather than having to build and maintain computing infrastructures and servers in house. This could enable multiple devices, including tablets and mobiles, access to programmes and data remotely vie the internet. Demand response and demand side management provides an opportunity for consumers to play a significant role in the operation of the electric grid by reducing or shifting their electricity usage during peak periods in response to time-based rates or other forms of financial incentives. The aim is to cut peak loads and remove the need to reinforce energy networks by better tying demand up with supply. The last three years have seen a remarkable surge in demand for electric vehicles in the UK – new registrations of plug-in cars increased from 3,500 in 2013 to around 85,000 by January 2017. The increase in the number of EVs will potentially put additional strain on energy networks by increasing demand at peak times. However, there is also the opportunity to utilise EVs as mobile storage devices. Energy storage (ES) technologies offer great potential for supporting renewable energy and the UK’s energy system. The offer different ways to store the energy created by variable renewable technologies at times when demand is low, but supply is high. They will then be able to provide a variety of services when needed. There are a variety of energy storage solutions available and being developed, including battery technologies, pumped storage, and mechanical storage. A geographic information system (GIS) is a computer system for capturing, storing, checking, and displaying data related to positions on Earth’s surface. GIS can show many different kinds of data on one map. This enables people to more easily see, analyse, and understand patterns and relationships. For utilities, this will enable them to assess information about the land, such as the location of factories, farms, and schools, or storm drains, roads, and electric power lines. Simply put, this is the concept of basically connecting any device with an on and off switch to the Internet (and/or to each other). For utilities, this could enable a variety of devices at different sites and locations to connect to one another and to communicate and take orders from staff or collectively follow programmes. This could include the safe shutdown of assets at a substation in response to a failure, and another asset responding to ensure continuity of supply. At a domestic level, this could enable smart appliance to respond to external signals to turn on or power down. Machine learning is the field of computer science that gives computers the ability to learn without being explicitly programmed. In the last decade this has provided innovations such as self driving cars and practical speech recognition. Moving forward, this could lead to improved and automated network management. On a basic level, smart meters are electronic devices that record consumption of energy and communicate that information at back to the utility for monitoring and billing. The UKs smart meter programme is due to rollout 53 million smart gas and electricity meters by 2020. The technology is also thought to be an enabler technology, allowing for things such as 24 hour switching, smart appliances within a connected home, and opening up smarter local network management solutions. Solar power is the conversion of sunlight into electricity. Within the UK, 10 per cent of its renewable power comes from solar power, or 1.5% of total UK electricity. This comes from a total of 8GW of solar PV which has been deployed so far. Solar is owned by 670,000 homeowners, and thousands of businesses, farmers, schools and community groups. Despite cuts to subsides for the technology, it is expected to continue growing as the government strives to meet its carbon targets. The UK is one of the best locations for wind power in the world, and is considered to be the best in Europe. It contributed 11 per cent of UK electricity generation in 2015, and 17 per cent in December 2015. The deployment of wind power is set to increase, despite government opposition to new onshore developments. Offshore wind is expected to be the biggest growth area, with bigger turbines and larger windfarms being developed. Scarsella has seen UKPN win the utility of the year award at the Utility Week awards twice in consecutive years (2015 and 2016). This has been achieved by improving the safety, efficiency and reliability of the DNO’s operations. Alongside this, under Scarsella’s leadership UKPN is also embracing new technologies, such as energy storage at its Leighton Buzzard site. Jeffs was named chief executive of MOSL in July 2015 and since then has a seen the development of the market operator from a small, starter company to the delivery body behind the opening up of the non-domestic water market. He has helped drive forward the programme which will significantly change the way the water retail market operates. Ross has been influential in helping the regulator shift away from descriptive regulation to a more principles based approach. She returned to Ofwat in July 2013 after five years away at the Office of Rail Regulation. Since then she has guided the industry through the PR14 price review and is gearing up to take the sector through the even more revolutionary PR19. Ross also has an important role in ensuring the sector is ready for market opening in April 2017. Latham has set up the new energy supplier, Brighter World Energy, in an attempt to tackle two major problems: UK energy customers being “consistently overcharged” and people in poor nations such as Africa living without access to energy. It promises to install a solar-powered micro-grid in an African village for every 2,000 UK customers it signs up. Nolan joined Ofgem as chief executive officer in March 2014, having previously been commissioner at the Commission for Energy Regulation in Ireland from May 2008 and its chair since May 2011. He has overseen turbulent times within the energy sector, with pressure mounting on suppliers following the Competition and markets Authority probe. Nolan will now have to ensure customers are treated fairly under the principles-based approach being adopted by the regulator. Away from retail, Nolan will also manage the transformation of the energy networks to a more flexible system, including making it easier for storage solutions to be developed. Clark set up isle Utilities on the back of his experience gained working at Blackstone’s water-sector private equity fund and from four years as Thames water’s commercial director. He has also helped to establish the Technology Approval Group (TAG) in 2005. Isle Utilities is a global team of scientists, engineers, business and regulatory experts, with a “common drive to make a positive social, economical, and environmental impact through the advancement of innovative technologies and related practices”. Musk is best-known for his exploits with the Tesla motor company, which is developing electric vehicles. The Model S was the most popular EV in the world last year, selling more than 50,000 units. Following on from the success in the automobile sector, Muck has driven Tesla forward with the development of the Powerwall storage system – both for domestic and commercial purposes. He has generated interest in the energy storage sector and EVs that goes far beyond the traditional reach of the sector. Reynolds has driven the rapid expansion of Castle Water from a new entrant in the Scottish water retail sector, to the one of the largest companies in the UK water retail space. This has seen the company takeover the customer bases of Portsmouth Water and Thames Water. Harrison has a pan-infrastructure perspective including energy, transportation, water, the urban and built environment, having built his career primarily in the electricity sector. He also has an active interest in energy policy has led to him directing a number of key studies in the UK and elsewhere. Harrison also chairs the IET’s energy policy panel, and most recently the Future Power Systems Architecture Project, a collaboration for the UK government between the IET and the Energy Systems Catapult. Cocker has worked his way up through the company over a period 19 years to arrive at his current position. He spent 11 years with Eon UK before being names as chief executive in 2008. Since then, he has seen go through a split, with the newly created company Uniper taking on ill focus on the conventional energy world – consisting of upstream and midstream businesses that originally belonged to Eon. 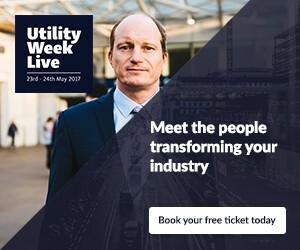 Utility Week Live returns to the NEC in Birmingham on 23 and 24 May and will showcase the latest innovations and technical solutions for the industry. 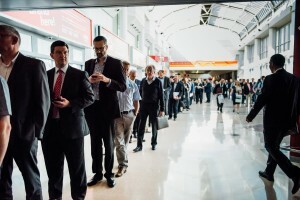 The theme for this year’s event is transformation and flexibility, and it is the show for essential services to showcase hundreds of new products from specialist suppliers and innovators, technical presentations, pitches and live demos. Plus, there is an extensive programme of seminars exploring the future of gas, electricity and water.